Inform SDL of the Remote Control capabilities of HMI, invoked at system startup. 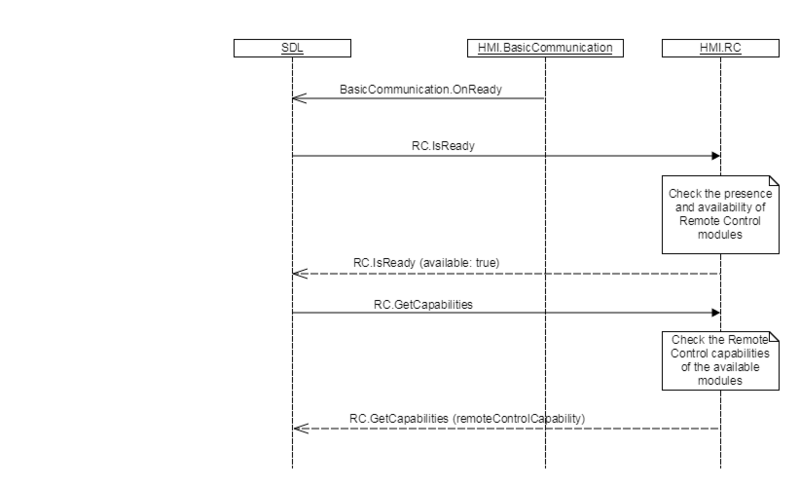 GetCapabilities is a request originated by SDL Core after receiving an IsReady Response from the Remote Control interface. If the HMI responds to GetCapabilities with the RemoteControlCapabilities parameter, this struct will overwrite any Remote Control related capabilities that are stored in the hmi_capabilities.json configuration file. The RemoteControlCapabilities struct will be stored by SDL Core, and used when a mobile application performs a GetSystemCapability request.